Manitoba Theatre Centre exists to celebrate the widest spectrum of theatre art. Deeply rooted in the province of Manitoba, which gave it life and provides for its growth, Royal MTC aspires to both reflect and engage the community it serves. 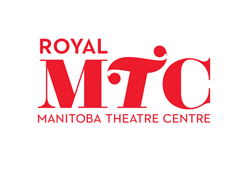 The Royal Manitoba Theatre Centre (Royal MTC) was Canada’s first English-language regional theatre, created when two Winnipeg theatre companies merged in 1958 under Artistic Director John Hirsch and General Manager Tom Hendry. Their goal was to produce great theatre with mass appeal. Royal MTC became a model for regional theatres throughout North America, and received a royal designation from Queen Elizabeth II in 2010. Sixty years after its founding, we remain Manitoba’s flagship theatre. Each year, we produce 10 plays on our two stages (the John Hirsch Mainstage and the Tom Hendry Warehouse), a regional tour of Manitoba and northwest Ontario, a wide range of youth programming and two annual festivals: the Master Playwright Festival (founded in 2001) and North America’s second-largest Fringe, the Winnipeg Fringe Festival (founded in 1988). Royal MTC also commissions, seeds, and develops new work, premiering an average of one new play each season. Attendance across all productions and activities averages 300,000 each year. The organization has more than 60 full-time and seasonal staff, engages more than 200 artists per season, supported by a Board of Trustees of 23 members and over 1,000 volunteers. After 30 successful seasons, Artistic Director Steven Schipper will step down in the spring of 2019. Building on its established legacy and tradition, the new Artistic Director (AD) will ensure that Royal MTC continues to be one of the most important regional theatres in Canada, while enhancing its international profile. The AD will drive the artistic vision, direction, and programming of the company and will select the artistic staff needed to achieve the highest standard of production. Both the AD and Executive Director (ED) report directly to the Board of Trustees and are jointly responsible for the creative, entrepreneurial, and strategic leadership of the organization. They are also responsible for achieving the artistic, audience, and financial objectives of Royal MTC. The new AD will work closely and collaboratively with the ED, Camilla Holland, to help ensure the future success of the organization. This opportunity is open for non-Canadians to apply. For more information, please download the job specification.